A special issue of International Journal of the Sociology of Language on "The Language Management Approach: Perspectives on the Interplay of Bottom-Up and Top-Down'' (issue 232, 2015) has been published by De Gruyter Mouton. Vyšlo monotematické číslo časopisu International Journal of the Sociology of Language (2015, č. 232) s tématem ,,The Language Management Approach: Perspectives on the Interplay of Bottom-Up and Top-Down''. A special issue, vol. 75, 2014, no. 4 of Slovo a slovesnost on "Language Management" has been published by the Czech Language Institute of the Czech Academy of Sciences. Vyšlo monotematické číslo časopisu Slovo a slovesnost (75, 2014, č. 4) s tématem ,,Jazykový management/Language Management''. A special issue, No. 63, of Media and Communication Studies (メディア・コミュニケーション研究) on "Linguistic Diversity and Language Management Theory" has been published by Hokkaido University. 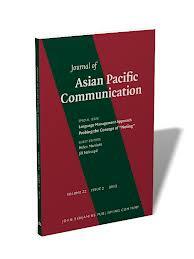 A special issue of the JAPC on language management has been published as volume 22 (2012), issue 2. 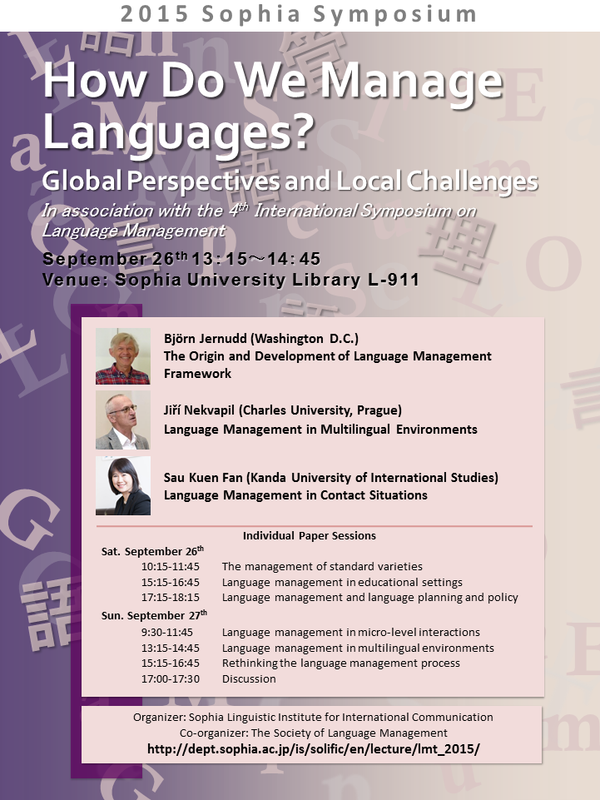 The third symposium takes place in Prague on 13–14 September, 2013.